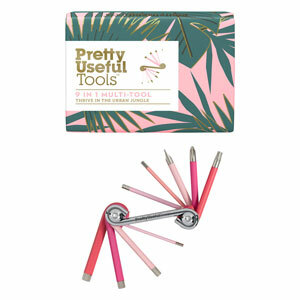 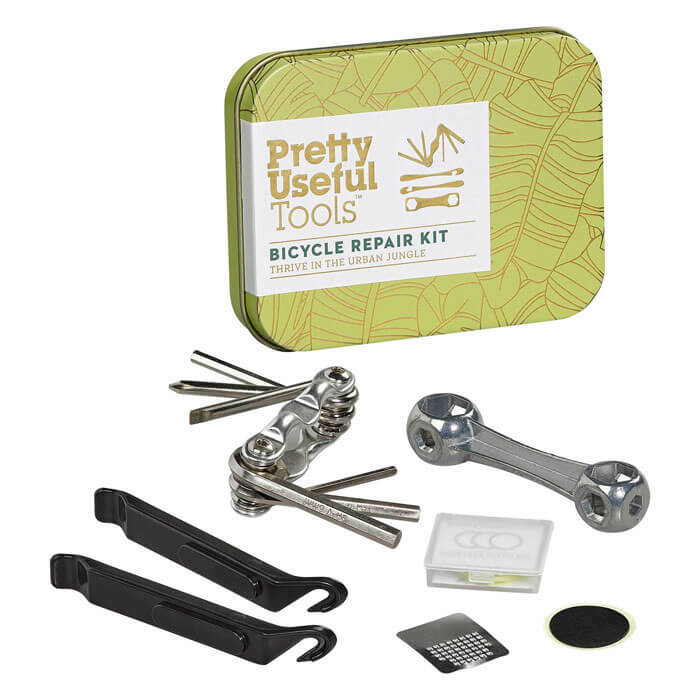 Keep your bike in tip top condition with this handy Bicycle Repair Kit from Pretty Useful Tools. 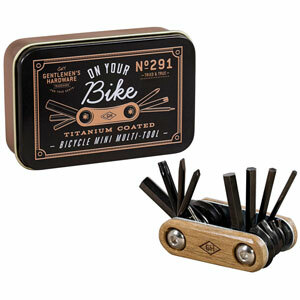 It includes a bone wrench, a metal rasp, a hex key multi-tool, six glueless patches, and two tyre levers. 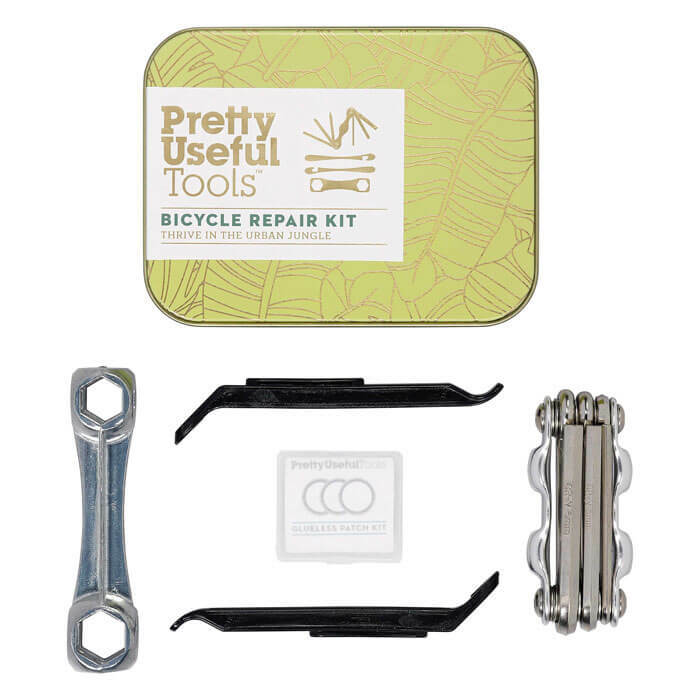 Everything you need to maintain your bicycle whilst out on the road. 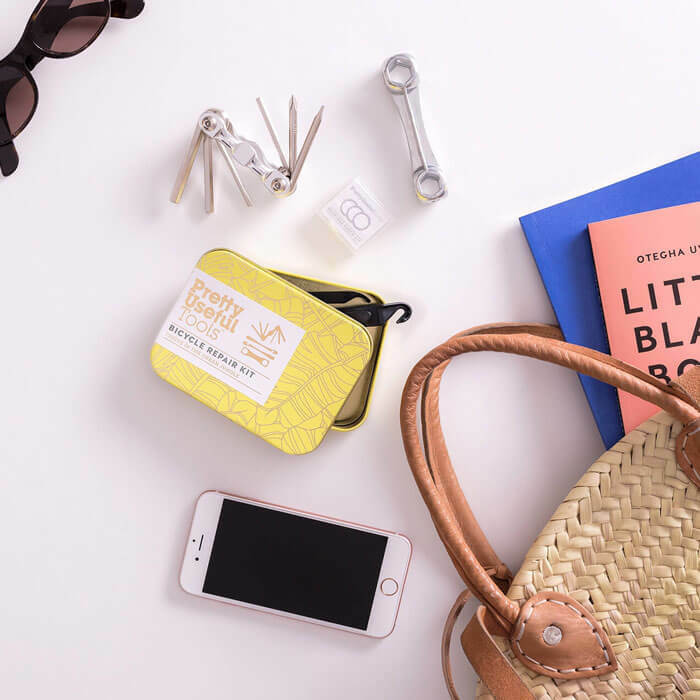 Packaged in a compact Sunrise yellow tin.